We sometimes seek to deepen our spirituality by turning to the outside world – �pursuing a mindful activity,�connecting with inspirational, authentic people�via social media, or heading to a natural setting where we can engage actively with our thoughts and feelings. At other times, spiritual discovery can be far simpler – especially when we take a moment to think of the things we are grateful for. Gratitude is a transformative emotion that brings benefits to�our physical and mental health�in many ways that are no less than surprising. 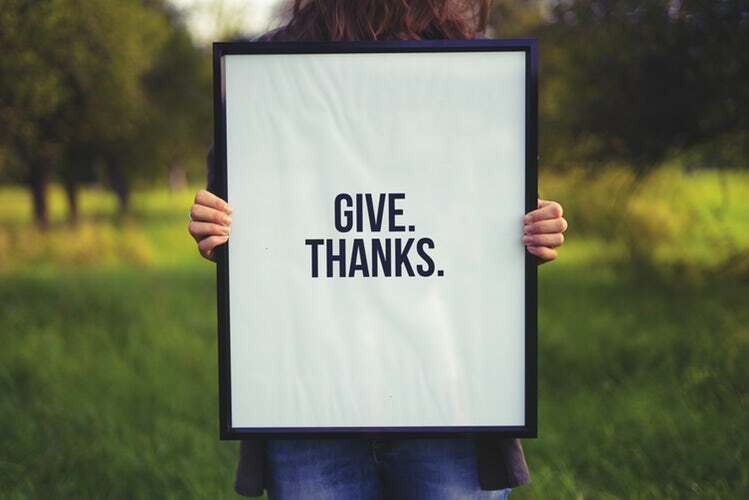 Recent research published in the Review of Communication reveals that�being thankful wields a host of benefits,��Gratitude consistently associates with many positive social, psychological, and health states, such as an increased likelihood of helping others, optimism, exercise, and reduced reports of physical symptoms.� One study in particular (published in Personality and Individual Differences in 2012) found that grateful people are more likely to take care of their physical health, exercise more often, and attend regular check-ups with their doctors, all of which contribute to longevity. Considering that obesity is reaching epidemic levels in the U.S., Canada, and many other countries, doctors are consistently looking for ways to motivate people to train. Gratefulness can play an important role in getting people back into the gym or the Great Outdoors to benefit body and mind. Research has also shown that gratitude�can lower blood pressure, improve the immunity, and promote better sleep. It is also associated with higher levels of good cholesterol (HDL) and lower levels of bad cholesterol (LDL). It is also related to higher heart rate variability, which is a good indicator of heart health. According to Robert A. Emmons, a leading expert on the science of gratitude, this quality �reduces the�lifetime risk for depression, anxiety and substance abuse disorders, and is a key resiliency factor in the prevention of suicide.� Emmons believes that these effects occur because grateful behavior promotes a mindful state in which we are content �in the here and now� – instead of feeling guilt or anger about the past, or worry about the future. When we feel grateful, it is difficult or impossible for destructive emotions such as jealousy, anger or sadness to co-exist. Emmons suggests keeping a gratitude journal or setting aside some time daily to remind ourselves of the many things we have to be grateful for. Gratitude wields a host of physiological and psychological benefits; above all, it instills a sense of acceptance in joy in what is� not what could have been or what we wish would be. As a mindful emotion, it can play an important role in reducing stress, making us more active, and keeping mental conditions such as depression and anxiety at bay. Research suggests that we should regularly take the time to be thankful for the many people, things and experiences that make us our life as special as it is. well said, I remeber whenever my boss tells me “Thank You”, I would work harder that day; it’s funny though.